The APS DCPS GUI was developed to provide easy control of any Adaptive Power DC Power supply from a Windows PC. This allows computer control of all functions and measurements without having to write any code. 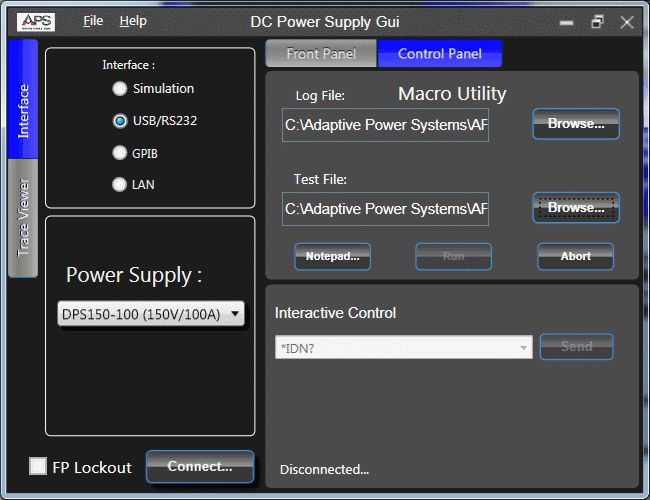 An interactive command line and command scripting utility screen is included in the DCPS Gui to allow easy execution of repetitive tasks with command text files. 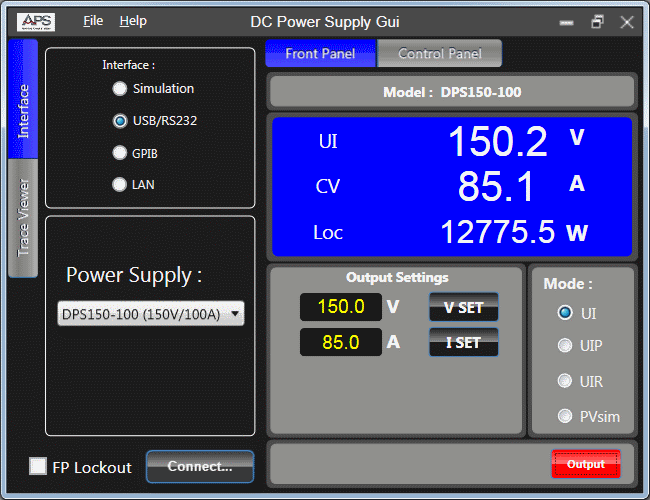 For questions regarding the APS DCPS Gui, please contact us. The ADAPTIVE POWER SYSTEMS DC Power Supply Windows control software provides a graphical user interface (GUI) that allows you to take full control of all functions and settings. 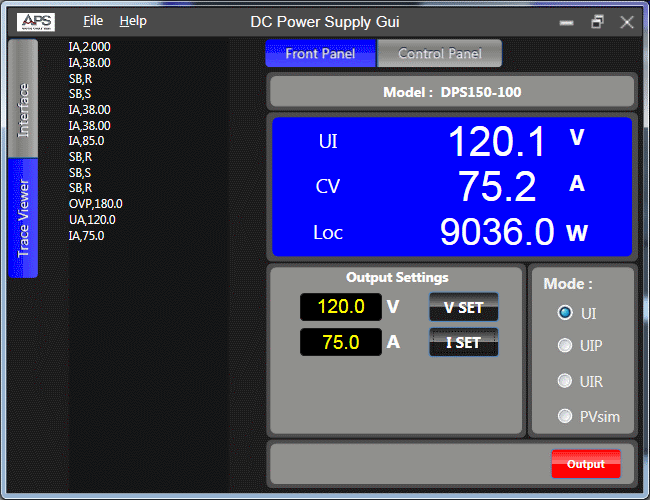 Voltage, Current, Control Mode are all settable from this main screen. 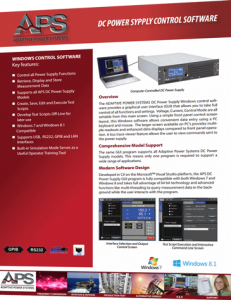 Using a simple front panel control screen layout, this Windows software allows convenient data entry using a PC keyboard and mouse. The larger screen available on PC’s provides multiple readouts and enhanced data displays compared to front panel operation.A bus trace viewer feature allows the user to view commands sent to the power supply.